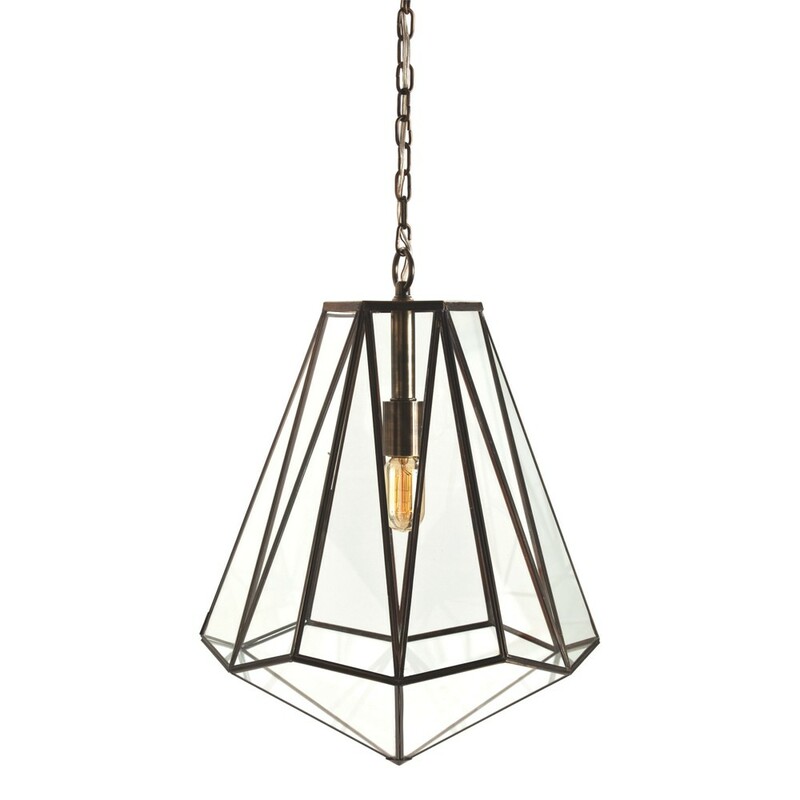 Hexagonal shaped glass pendant with antique brass finished iron “came” strips between each triangular glass shape. Consider an antique style bulb to create a subtle glow while featuring various filament designs. H: 22" W: 16" D: 16".